Home Writing	Do Grades Encourage Learning? 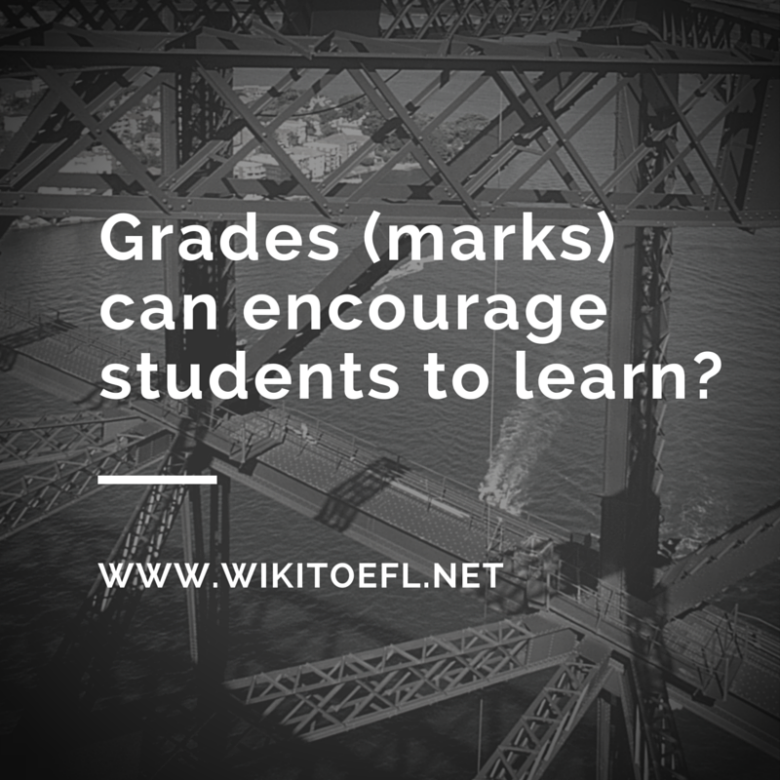 Grades (marks) can encourage students to learn. Some people argue that grades cannot encourage students to learn. I disagree with them. I firmiy believe grades can actually motivate students to learn. study more. He began learning a lot, and now he attends an excellent college. Grades clearly motivated him to learn more. In Korea, students also feel peer pressure to get good grades and learn more. At my school, most of the unpopular students get poor grades while many of the popular students get outstanding grades. Those students with low grades are often made fun of or left out by other students. So many students feel pressure to get good grades because they do not want to be treated as laughingstocks. On the other hand, those students with high grades receive awards for their good work. This encourages competition among students and stimulates some other students to work harder to win these awards or get along with those excellent students. Overall, grades make students work harder in one way or the other. Grades are clearly important at encouraging students to learn. They help students gain enough knowledge to attend good colleges and also apply peer pressure on students to work more. Grades definitely play an important role in learning in Korea.